This is a classic dish, from the Bourgogne region of France. and is a great way to use up leftover ham. It makes a wonderful lunch or a light dinner when paired with a simple green salad. It would also make an elegant appetizer or be a tasty and unusual addition to a buffet or party table. I made this using some leftovers from one of my boiled and glazed hams. This recipe is very loosely based on the Jambon Persille recipe on page 32 of Cured by Lindy Wildsmith. 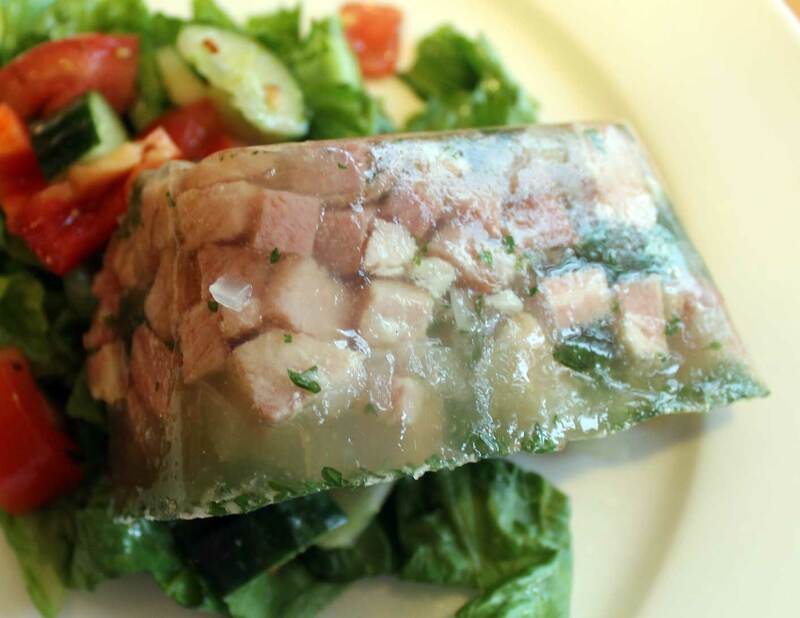 I modified the recipe quite heavily as the recipe calls for a gammon joint and a ham shank to provide both the meat and the jellied broth. Whereas I was using diced leftover ham and the ham-stock produced by cooking that ham. 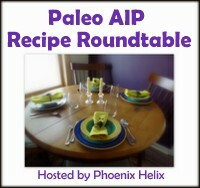 This recipe is suitable for the elimination stage of AIP. It does contain some white wine, but this is simmered with the onion, and most of the alcohol will evaporate. If this is still a concern for you, replace it with more stock. Dice the ham into very small cubes and remove any fat. Meanwhile, put the onion, garlic and wine in a small pan and bring to a simmer. Allow to simmer until the onion is tender. Bring 1 cup of ham stock to the boil, remove from the heat and sprinkle over the gelatin. Allow to “bloom” for a few minutes then stir in the remaining stock, wine mixture and parsley. 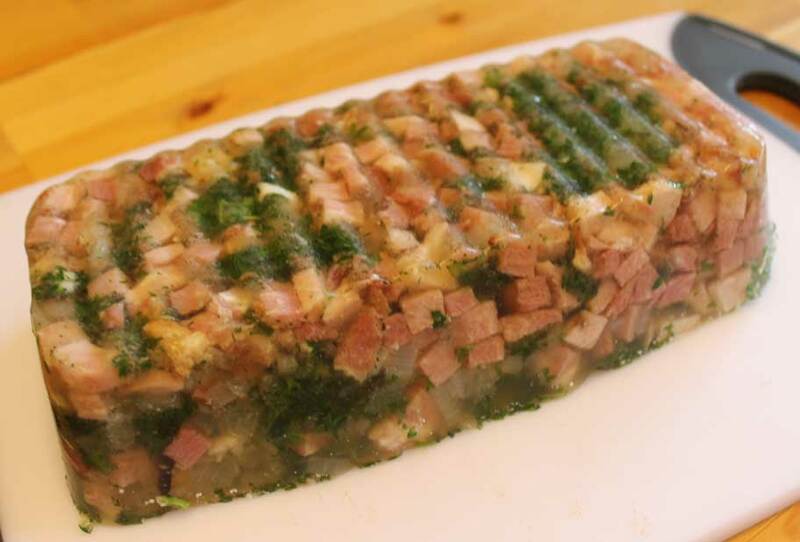 Stir in the cubed ham and pour into a loaf tin. 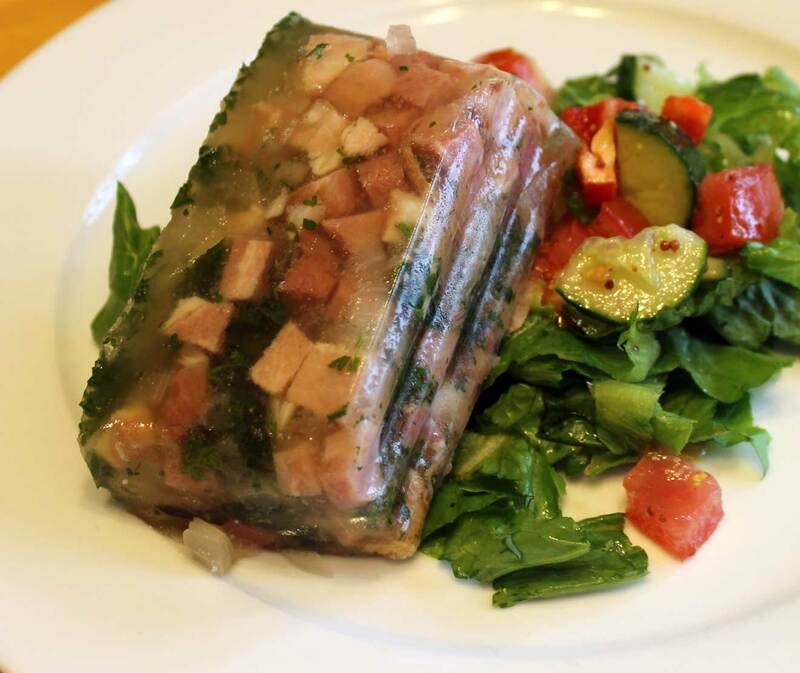 I used a silcone one as it makes turning the terrine out far easier. But you could easily use a metal loaf tin or even a dish. Place in the fridge and leave to set overnight. 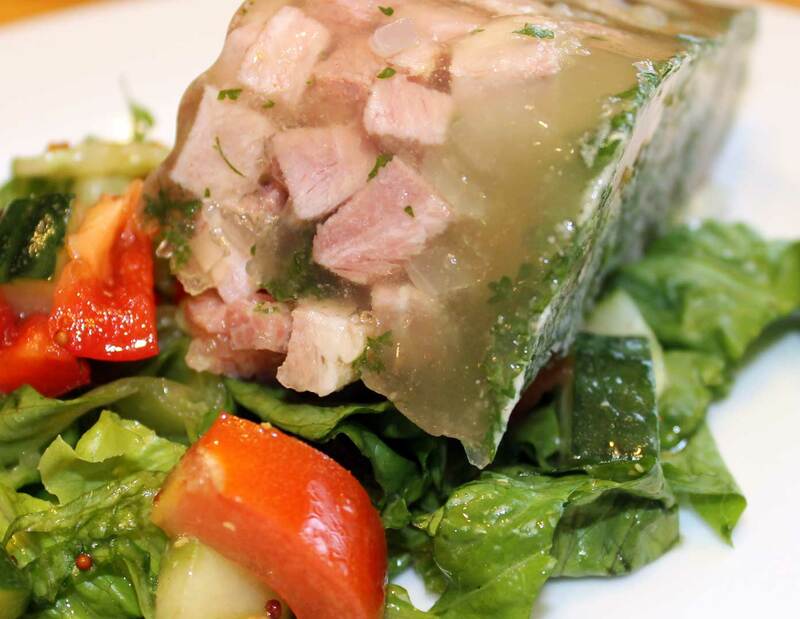 To serve, turn the terrine out onto a plate (if you used a metal tin or a dish, you may have to dip the container in hot water for a few seconds to loosen it). Serve cut into thick slices with a green salad. (The salad in the pictures does contain tomatoes, which are not compliant with the elimination stage of AIP – these are a stage 4 reintroduction). This makes a very nice light lunch or evening meal. It could also be good in a lunch box if you have the means to keep it cold. It really does need to be kept refrigerated as the jelly will melt if it is not. This entry was posted in Autoimmune Protocol Foods, Recipes and tagged AIP-friendly, appetizer, Autoimmune Protocol, dinner, gluten-free, grain-free, ham, healthy, leftovers, low carb, lunch, paleo, primal, Salad, terrine. Bookmark the permalink.